The group behind a pair of Spanish tapas spots in the Boston area will be bringing its other concept to the region. According to a Twitter post from @DGoodison, bartaco has signed a lease to open in Boston's Fort Point neighborhood, with the Thomson Place eatery being known for its upscale street food with influences ranging from California to South America. Once it opens, the new restaurant will join locations of Barcelona Wine Bar in the South End and Brookline, whose parent company - Barteca - runs both concepts and is based out of Norwalk, Connecticut. 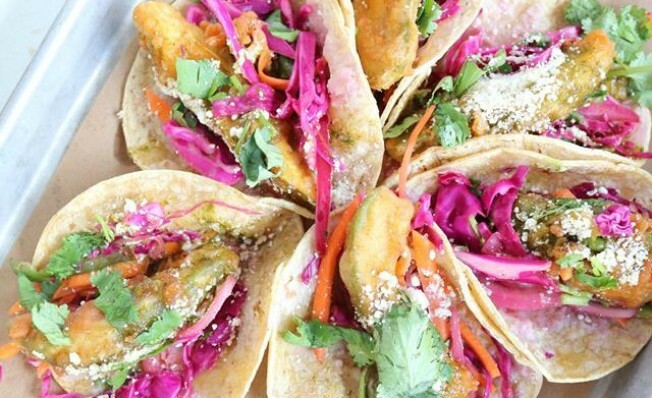 bartaco offers such items as guacamole, tacos with such options as fried oysters, shrimp, pork belly, duck, and shrimp, rice bowls with many of the same taco fillings available, tuna poke, pork tamales, plantains, gazpacho, rotisserie half chicken, and more.